This unique, one of a kind pocket cruiser was professionally designed and built for comfort and safety. 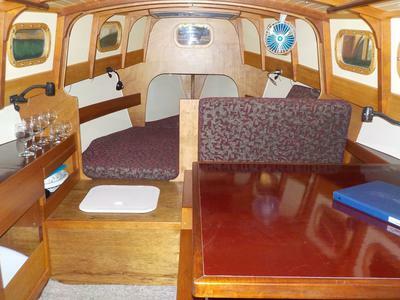 This custom boat sleeps four and is ready to sail away. 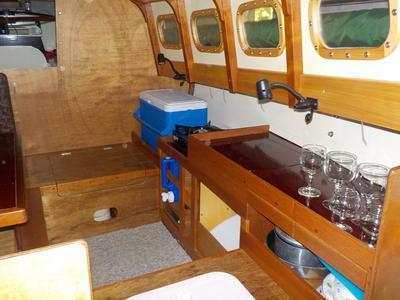 Sale includes dual axle trailer, Mercury 4 hp four cycle outboard engine with two 3 gal external fuel tanks, three sails, 8' tender with paddle, Richie sailboat compass, porta-potty, solar panel, two anchors, cockpit cushions, butane cook stove, bilge pump and more. 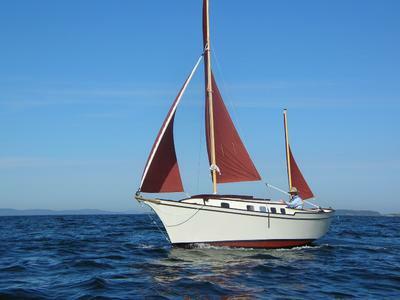 SailAbout was launched in 2005 and has been stored inside when not in use so is in like new condition. Ample storage space is available with 20 separate enclosed lockers, twelve of which are equipped with water tight hatches for reserve buoyancy in an emergency. Mainsail sail with reef points - 91.5 sq. 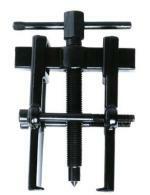 ft.
Roller furling jib - 52.25 sq. 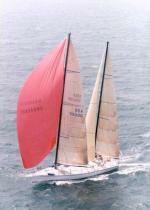 ft.
Mizzen sail - 22.5 sq. ft.
Venture Dual axle 4700 lb. capacity. (complete service and new breaks shoes installed 2015) Towing weight 1000 lbs. Call Tom at 207-323-3133 or e-mail tom3233133@hotmail.com for additional information. Thanks for your question. The hull and interior bulkheads are 1/2 inch marine plywood with two coats of West System epoxy inside and out. Looks good Tom, but what material is the hull made of?